With fake news on the rise and human nature to blame, there are few areas of respite; a major announcement from Brain+Trust; trends in marketing budgets include an increase in social, digital and analytics; don't forget the human connection; the winner in referral traffic; Twitter's approach to fake accounts; the Infinite Dial 2018 is here and chock full of insights; Big Tech needs regulating; how blockchain is changing analytics; how to compete more effectively in a crowded world; and more in the Trust Matters edition of The Full Monty from Brain+Trust Partners for the week of March 12, 2018. Brain+Trust Partners is pleased to be affiliated with the newly-launched Brain+Trust Insights, a new analytics consulting firm that helps brands make better decisions faster by making dark data light. Please check out our announcement. There's no question that we live in a society in which information moves faster than ever before. So the old adage that "a lie is halfway around the world before the truth has a chance to put its pants on" is quite accurate. A recent study in Science found that false news travels faster and wider and that the blame lies with humans. It's the same reason that gossip tabloids have always flourished and that the Kardashians are so widely followed. Human nature seems to gravitate toward a willingness to spread falsehoods and exaggerations. 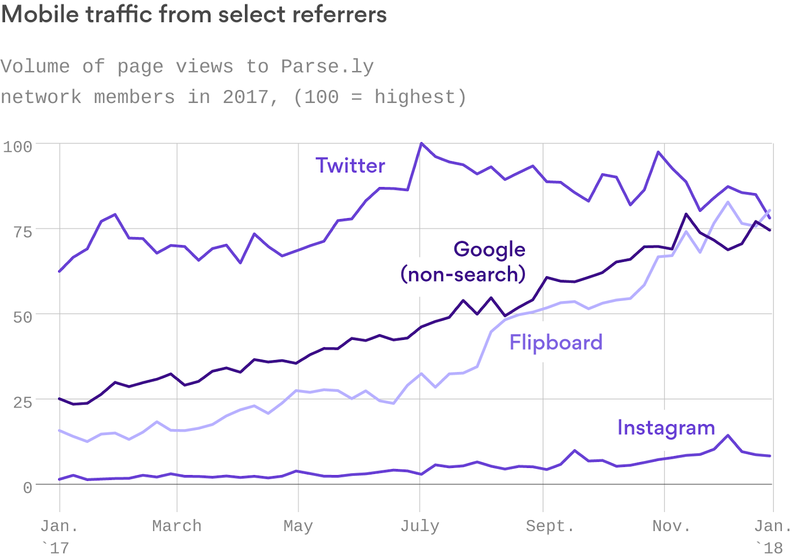 And this is why Facebook (and other big technology companies) are in a pinch ahead of the midterm elections. Because what they have to fix isn't just an algorithm: it's human behavior. Behavior that they've trained with Pavlovian-like responses tied to endorphins that 'likes' and 'retweets' cause in the brain. The ubiquitous nature of technology and its endemic effects make this a societal problem, with reverberations that are being felt in government, child-rearing, school, and more. There's still a need to be aware of and efforts made to stomp out fake news. Interestingly, even amid the growing era of machine learning, journalists may be better suited to do sniff out fake news. That is, journalists who aren't being coerced into bashing national media companies by their employers. But what's the answer? One New York Times columnist took a two-month hiatus from digital sources, getting his news only from print newspapers. The result was a less frenetic, richer experience with himself and his family. And an Ohio man completely cut himself off from every kind of news. Those kinds of solutions may not be for everyone, but they do indicate just how deep technology pervades our minds and the need to make some kind of change to our behavior. Ultimately, it comes down to trust: trusting the sources from which you get information, whether it's from brands, news sources, family members, Twitter accounts, or wherever you're engaging. And knowing that you have the power to influence others, because that's who people trust over all sources. Your employees, customers, fans, family and the like — they're the ones who will be the best resource when it comes to leading and defending your brand or your story. If you have a good relationship with them and can be consistent and persistent, you stand a chance of breaking through. It may seem like AI is everywhere, but business can get ahead if they focus on opportunities rather than technologies. Google offers educational resources through its machine learning crash course. There's no question about it: voice is the battleground over the next 10 years. No, you're not imagining things. Amazon's Alexa devices are laughing at you. The term “blockchain” needs a definition, as general usage has diluted its meaning. eMarketer released US digital user figures for 2018. Nearly 280 million people, or 85% of the US population, will go online at least once a month in 2018. The CMO Survey released trends around marketing budgets. Included are continued growth in social and digital, with a rebound on analytics spending. While the platforms and technology continue to drive the digital future, most marketers forget about the human connection. It's so important on its own, and certainly even moreso when everything is more automated and machine-driven then before. If you want to get closer to your customers, it's essential that you know exactly who they are. There's a trend among brands, wanting to take more agency services in-house. A look at the necessary evolution between agencies and brands. Lester Holt took the occasion of the 70th anniversary of NBC Nightly News to reflect on changes to news broadcasts: the focus is on scoops, exclusive interviews, and on-site reporting, given that viewers already know the day's news. The big question is: how might we take these same concepts and apply them to brand journalism? Publishers and brands ought to be thinking about Flipboard, where referral traffic is up compared to social platforms. Longtime toy retailer Toys 'R' Us is preparing to liquidate all of its U.S. operations. So much a part of so many childhoods, it was saddled with too much debt as ecommerce swooped in. Walmart is expanding its meal kits nationwide after testing the service in 250 of its stores and eventually rolling out to 2,000 stories this year, heightening its competition with Amazon. Why is Amazon getting so many tax breaks when it’s nearly a trillion-dollar company and it has paid ZERO in federal taxes? Twitter has suspended a wave of accounts accused of stealing tweets and mass-retweeting each other. This is part of a crackdown on bots and automated activity. Twitter is taking things seriously with regard to abuse of the system. CEO Jack Dorsey says Twitter is working on getting users to verify themselves; its product director says it would help users spot suspicious accounts easier. Facebook knows why some publishers are struggling, and says it's not the algorithm. If it were boiled down to a catchphrase, it would be: "It's the content, stupid." After making a change to its Newsfeed, Facebook saw a spike in ad costs. It's not as nefarious as you might think; it's a matter of high demand on a limited inventory. Econ 101: supply and demand. Google says it is taking the lessons it has learned from AMP and is applying them to web standards that could allow instant loading for non-AMP web content. Everybody wins! Snapchat may be getting more interactive: Snapchat is testing @-tagging other users in Stories. Swiping up in a Story with tags will show tagged usernames, handles, Bitmoji, and Add buttons. Are you thinking about cutting the cord? How about how much you spend on media subscriptions? Small amounts add up over time. It's getting harder to make a cult classic with streaming services. The days of the limited release in art house theaters may be behind us. Most Netflix subscribers sign up on phones or PCs, but 70 percent of Netflix viewing happens on TVs. A Netflix update lets parents set custom PINs for individual movies or shows and displays maturity level ratings at the moment of hitting play. Here's the podcasting boom, explained in one infographic. Interestingly, using all non-Edison sources. From the Pew Research Center: nearly one in five Americans listen to audiobooks. IAB research shows that advertising on and branded podcasts are growing exponentially, with $69 million in revenue in 2015 growing to $220 million in 2017. TechMeme is getting in on the daily podcast trend with its own afternoon show called The TechMeme Ride Home. Simplecasts launched Recast: a way for podcasts to be more easily shared and discovered. iHeartMedia is preparing for bankruptcy filing. Program of the Week: This week's show is On Being, recommended by Carolyn Capern. On Being opens up the animating questions at the center of human life: What does it mean to be human, and how do we want to live? A pursuit of wisdom and moral imagination as much as knowledge. Do you have a program to recommend? Add yours to our Google Sheet: smonty.co/yourpodcasts. A majority of Americans is concerned about the invasiveness of technology and of the platforms' inability or unwillingness to do anything about it, and wants big tech to be regulated. The FBI used the staff at Best Buy's Geek Squad to act as informants for illegal activity they discovered as part of their jobs as computer repair technicians. A mother in Shanghai is locked out of her iPhone for 47 years after her two year-old tried to unlock the phone too many times. The good news is she'll enjoy one heck of a digital detox. Lyft says its revenue is growing three times as fast as Uber's. The company reported over $1 billion in revenue, with Q4 revenue up 168% versus Uber's 61%. Waymo is piloting self-driving cargo trucks in Atlanta for carrying cargo bound for Google's data centers starting this week. Southeast Asia’s dominant ride-hailing service, Grab, is reportedly ready to buy out Uber’s operations in the region and offer Uber a stake in the company. The importance of the three buckets of digital marketing analytics. Do you know what they are? New data shows just how much social sharing has decreased since 2015. Multiple factors are at work. Understanding the concept of a half-life will change what you read and how you invest your time. It will also help explain why our careers are increasingly specialized and offer a look into how we can compete more effectively in a very crowded world. Today's digital technologies involve unprecedented breadth and scale — comparable to the introduction of commercial electric power in the early 20th century. If the change feels overwhelming, it is. That's what Brain+Trust helps with. How to save old computer files. The logos of Google, Airbnb, Spotify and Pinterest are all very similar. Here's why. The Brain+Trust Partners team will be Social VIPs for the #WatsonIoT team for IBM's Think Conference. 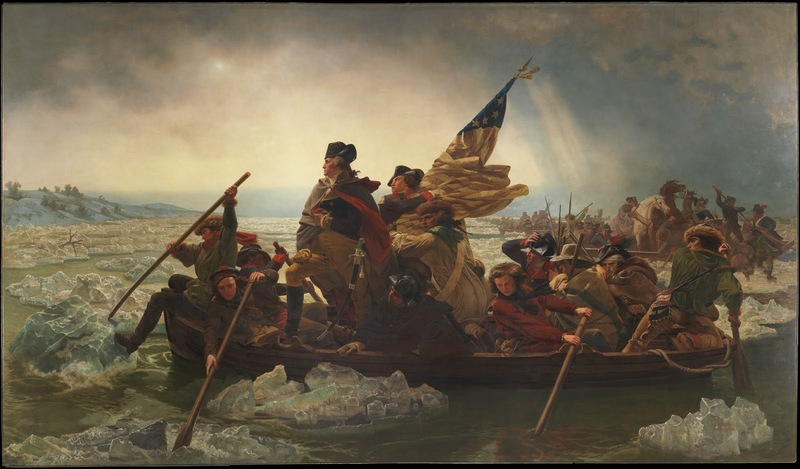 Top image credit: Washington Crossing the Delaware by Emanuel Leutze, public domain.